With nearly 17 years in prison, he was known as the youngest member of the alleged notorious “West Charlotte Posse” of Charlotte, North Carolina. Kareem Tomblin was sucked into the thug way of life at a young tender age. 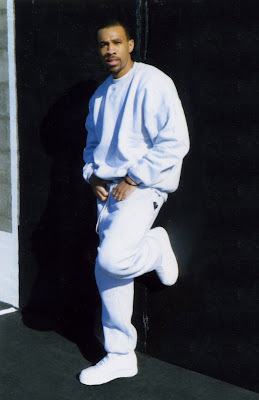 Robbing drug dealers, selling coke and even heroin – Kareem found himself before a federal district court judge as a “Juvenile”, received 45 years and was sent off to not a federal “Juvenile” correctional institution, but to a Federal United States Penitentiary – where the government sends all alleged harden criminals. He has been incarcerated so long not just on the basis of being a hard-core young ex-thug, but as a direct result of unjust laws and a district court judge abusing his discretion by illegally allowing him to be tried as an “Adult” defendant and not as a “Juvenile” defendant. After settling down enough to see his way through the fog of the underworld life and ways of “thuggism”, Kareem devoted himself to a life that leads to “positive” growth and development. He credits his journey of “change” to his personal relationship with Jesus Christ and the autobiography of Malcolm X…. Now with a passion for writing, Kareem has completed his first novel, DEATH, NO EXCEPTIONS! DEATH, NO EXCEPTIONS is a story of uncompromising revenge. The story is not an attempt to glorify the street way of life, but to paint a picture to readers about how far some human beings will go to hurt and harm others over “material things” that’s here today and gone tomorrow – like coke and cash…. Tomblin wanted to show just how much damage and pain an individual can cause when he/she is being motivated by the negative spirit of uncompromising revenge. Prioritybooks Publications is a book publishing company that started as a result of the owner, Rose Jackson-Beavers desire to control her own publishing destiny. Since its’ inception in 2005, she has published more than 20 authors including herself. Prioritybooks has also expanded its services to include advertisements, Press Kit Preparation, Target Market Press Kit Distribution, Target Market Promotional, Mailings and publishing workshops. Editor’s note: For more information about Death, No Exceptions, or to schedule an interview with Kareem Tomblin call Prioritybooks at 314-306-2972 or write to info@prioritybooks.com. You may also contact the author at Kareem Tomblin #10119-058, Federal Correction Center, Post Office Box 52020/Unit B-2 Bennettsville, SC., 29512. 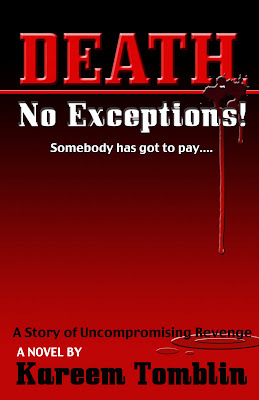 Death, No Exceptions is available at http://www.amazon.com/, http://www.barnesandnoble.com/. If it is not on the shelf ask for it.